When Mr. Gurdjieff arrived in Russia in 1912 he did not come as a beggar but as a man of some wealth. He came with a million rubles, a fantastic sum at that time: one ruble could feed a lower-class family of five for about three days. He came as well with two invaluable collections, one of old and rare carpets, and another of porcelain and Chinese cloisonné. He came, as he said, with a "sacred task"(1)to establish the ancient teaching of The Fourth Way in the West. His plan was to create an Institute by which "helper-instructors" would be trained who would spread the teaching throughout the West. Having already solved what he termed "the material question," he was financially independent in the full meaning of the term. Thus, he had no need to depend upon or cater to anyone. He did not inherit this wealth, nor was it otherwise given to him, but rather with his wits and hard work he earned it. He speaks of how he amassed such a princely fortune in great detail in an "addendum" to the ten chapters that make up the Second Series of his initiatory text All and Everything. Arriving in Constantinople in July 1920, this man who eight years earlier had come to Russia with a million and more rubles now had urgent money needs. What he called "the material question" would follow him for all but a few years prior to his death. Within a year he and his followers would embark for Europe where, after many difficulties, he would finally establish in France his Institute for the Harmonious Development of Man. In Europe Gurdjieff was literally a stranger in a strange land. Not only did he have to teach himself a working knowledge of English, French and German but he also had to deal with European customs, almost all of which he found abnormal. And besides providing for the needs of his extended family, he continued to support many of those who came with him from Russia. The enormous strain and pressure required an unceasing struggle. As well as Orage, Gurdjieff pressured other students, especially Jean Toomer, who organized and led the Chicago groups, and regularly had to ask his students for special donations. As the demands never seemed to cease, they caused great turmoil with resulting doubts about Gurdjieff. And so, though he was thousands of miles and an ocean away, Gurdjieff created situations whereby students might see themselves. In this light it is interesting to read how Toomer reacted. It should be noted that Toomer was in a unique position in regard to money, having married Marjorie Content, a woman of great wealth through her father, a Wall Street financier. In what follows it will be seen how Gurdjieff used money to create deep questions and suffering in Toomer. Interestingly, Toomer even saw, albeit only intellectually, what Gurdjieff was doing. One can see Toomer valiantly struggling not to get stuck in regard to Gurdjieff and money. "One surely must think twice and again and again," he said, "before hardening and fixing the belief that Gurdjieff is after money only. To me, this belief never has and does not now seem tenable. Surely also, if one has feeling for the work and good will towards him, one must be on the alert so as not to refuse help if and when the call 'Wolf, wolf,' really means wolf." Toomer saw that what Gurdjieff was putting him through mentally was very much like doing the physical movements and dances. Wrote Toomer: "You find your mind and psyche going through gymnastics which require your inner world to perform feats of coordination and endurance quite similar to those required of the body in the exercises and dances demonstrated by Gurdjieff and his pupils when he first came to this country in 1924 [when he first met Gurdjieff]. Witness myself. This that I have written and much more was stirred up in me owing to the fact that I was asked for an additional three hundred [dollars] in the circumstances I have described. Not every day does one experience such a plowing." 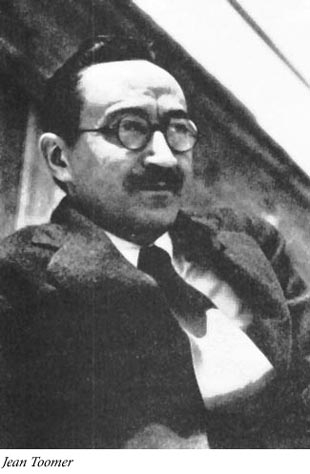 What follows is Toomer's remembrance of his experience with Gurdjieff in 193435 over the said "material question." To understand what is happening beneath the words and events, one has to remember that Gurdjieff used money as a teaching tool. 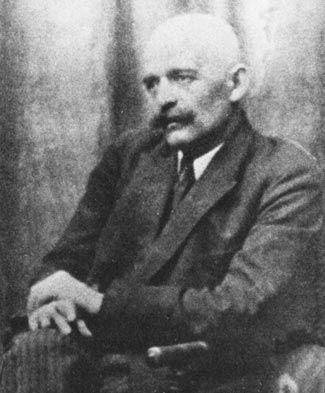 Gurdjieff many times emphasized that no one else was in a position to employ his special techniques. But that, of course, has not stopped a good many faux-Gurdjieffians from financially exploiting and harassing their students in Gurdjieff's name. Yesterday morning, already informed by Gurdjieff that he would leave America for France today, knowing that he had insufficient money for this purpose, I gave him two hundred dollars. The money was hardly in his pocket when he began working on me for more. He invited me to lunch. I knew what it was for. I accepted. I accepted for a totality of reasons [and] also because I had an immediate matter which I wished to put to the test. At two o'clock, I presented myself at his apartment, a one room and kitchen affair on West 69th street, piled up with I do not know how many suit cases and loaded trunks. Lunch, prepared by himself, was ready. His unpublished manuscripts were stretched on the bed. When I entered he arose, saying he was tired. By the feel of things I knew he was not leaving America the next day. The food, like all the food he prepares, was amazing, original, unlike any food I've tasted elsewhere. As customary, vodka was poured and the toasts to the idiots began. First, to the health of all ordinary idiots. Having drunk half a glass to all ordinary idiots we began eating. Meat of which I did not know the name. Smoked fish, really smoked and really delicious. Salad with a mustard-wine vinegar sauce. "The Son of man came eating and drinking..."
Always when presiding at a table Gurdjieff has a certain charm and lordliness. He devours his food and thinks well of you if you do likewise. Always when eating he is lavish, unstinted, with instinctive generosity. A young Russian typist had come in to do his afternoon work. Gurdjieff had the youth sit with us at the table and supplied him with all the food he could eat, food he could not possibly buy at any restaurant here or in Europe. The toasts were drunk, scaling up from ordinary idiots to super idiots, arch idiots, hopeless idiots, compassionate idiots, squirming idiots, square idiots, round idiots.... At each toast half a glass of vodka went down the hatch. After each drink a sizable quantity of food was consumed. Life was jovial, mellow, expansive, with just the right amount of gusto to accompany the eating of food by men. He himself, by the way, calls himself the unique idiot. The unique idiot is twenty-one on the scale: You seldom reach a toast to it. Should you, Gurdjieff guarantees that while everyone is under the table he will dance on the tabletop. Also by the way, it is generally understood by those who dine and drink with him that God is his heir, and that when he dies God will then become the unique idiot. The main dish of the present lunch consisted of four young chickens, split in half, potatoes underneath, small cuts of some strange meat on top, all cooked together in a deep pan with a golden colored gravy at the bottom. It really was a delicious dish; and while we were eating it, picking the meat from the bone with our fingers, Gurdjieff remarked with a smile that this food alone, without any extra effort on the part of man, would be enough to take him to paradise. Of course, he added, the food would have to be eaten not once but right along [regularly]. Lunch finished, we smoked, Gurdjieff momentarily reclining on the bed, propped on an elbow. He had to get up in order to show the typist where to begin. And, on his feet, he bethought himself of his business with me. For this business we repaired to the bathroom, an "original office" as Gurdjieff had said before on the occasion of previous visits to its privacy, the only private place in the apartment, what with two typists in the main room and of the clowning sort, typewriters banging there. In this original office there was barely enough room for the two of us. Into my mind came the line, "'Won't you come into my parlor,' said the spider to the fly." To the bathroom, then we hied ourselves, not without fitting ceremony. The gist of the business was this. He would not leave tomorrow on the Île de France which I already knew. He would leave a week hence on the Paris. Now this delay made certain things necessary. Of course, said I to myself. It necessitated that he send two hundred and fifty dollars (Ah-ha, said I to myself) to France by cable in advance of his arrival. It necessitated that he have money to live on while still in America. In short, he needed about three hundred and thirty dollars. For this sum he depended upon me exclusively, naturally. It was possible for him to get it elsewhere, but for reasons growing out of his policies with different people, and also because of his aims, he did not want to call upon those people at this time for this need. It is up to me. He gave his essence-word that in four months he would pay me back. Not only would he pay me back but I'd have a place in his future creations. If, however, I failed him, he and the entire work would go up the chimney, as this was the critical hour. I listened. I nodded. I smiled. Inwardly I had the same disquieting feelings aroused in me by similar situations in the past when he had worked on me for money, feelings similar to those he had aroused in others, feelings which in some instances had driven them off from him with disgust and anger and the conviction that he was using his power merely in order to obtain money, money, and more money without cease. I remembered other times, other "critical hours," in which he had put it up to me, I being cast for the role of the only one who could save the situation. I squirmed, because I resented being worked on in this way. I squirmed. I knew, and I knew he knew, that it was only because of my positive sense of him, because of my positive experience with and belief in his work, and his ideas, that I had let myself in for such a situation where demands could be made of me with some effectiveness. I squirmed and was incredulous that he would try to work the same old trick again, seeing that just this trick had driven me away from him the previous spring soon after his arrival in this country. I felt awful, because just this behavior of his was again putting my belief in him to a severe test, threatening to collapse every positive feeling I had, threatening to undermine the very beliefs and hopes upon which my life had rested and moved ever since 1924. What could be in the man's mind? Who and what was he? What were his purposes? What aims did he have for me, if any? What aims for the people of the world? Was I a mere tool? Was I not even that, so nothing from his point of view that he need not even consider the way he used or misused me? Was he, as some claimed, insane? Did he, as some also claimed, know psychic laws but was essentially stupid in his practical dealings with people? If he knew anything at all about me, how could he fail to know that I was ready and willing to do all I possibly could as regards any real need of his that I could grasp and understand, whereas just these tricky manipulative tactics were sure to throw me off? Or on the other hand, was he under the guise of this, to me, distasteful proposal, trying to do something for my good? I recalled a saying of his"The means are mine. You look for the results in yourself." I also recalled"You can see only the present. I see in terms of a hundred years." So then was he producing in me some necessary tension? Was he showing me, so that I could not possibly fail to see for myself, that for all of my professed great and deep belief in the work, I could be thrown off by some comparatively trivial thing simply because it rubbed me the wrong way? Obviously my declarations of value were but declarations if I suddenly faced about and disavowed everything merely because he put a screw in me and turned it. This is what is so awful about the situations with Gurdjieff. The situations themselves are always taxingand you can arrive at no sure reconciliation or fixed understanding because for every fact there is a counterfact, for every reason a counter reason, for every bit of "bad" behavior another bit of "good" behavior, for every son-of-a-bitching thing a counter saintly thing. Gurdjieff was talking away. He said, among other things, "It is not for me. I am nothing." Suddenly with utter sincerity, I said, "I feel the same way. I am nothing." And I did feel it. I felt I wasn't important, not the slightest. I felt I had reached the limit of my possibilities. I felt there was no further use that I tax myself, not in relation to him, not in relation to anything, but mainly not for myself. I felt selfless, without ego. I felt I would gladly willingly give all I was and all I had if it would be of any service to others. I felt that an additional three hundred dollars was nothing at all to contribute to his work, if it really were a work, if it really was destined to be of vast service to mankind. What were three hundred dollars? What was three thousand or three hundred thousand dollars? Every American month and year such sums are squandered on nonessentials, staked and lost on projects of no real benefit to anyone even if they do succeed, such sums and vastly larger sums are sunk into battle ships and the various instruments of man's war against man. Three hundred, for a creative service? It was far too little to give. But if just this sum was needed for just this need, then why manipulate? Why not a straight request so that I could respond with a straight hand? Why not do it in a way that would assure me that the sum would be thus used, that after I had given the three hundred I would not at once find myself being worked for an additional five hundred, and so on and so on as long as I could scrape together a centor until I, like others before me, became disillusioned and embittered and broke off from him completely. We left the bathroom and took chairs in the main room, the typewriter pounding and clacking. We smoked and joked. I asked Gurdjieff certain questions about myself. He said I did not deserve to know. I asked, "If I do not deserve, then who does?" His reply was that nobody deserved. I asked, "Then for whom are you doing all this work?" "I will live for coming generations," he said. "It is for them." Again, as in the past, he thwarted these kind of questions, refused to give me this kind of assurance that I would get anything in these terms from him. In my mind was the thought, "I do not count. Not finished but not important." In my feelings was the feeling, "Nothing more is possible for me." So then, of what use can I be to others? I could not feel that to give an additional three hundred dollars would be any real use. It would be burnt up quickly as the sums in the past had been burnt up, going like smoke up the chimney. When I went home I'd have to face my wife with it. My wife would be thrown off because she, like any sane human being, would be thrown off convinced that my leg was being pulled, convinced that Gurdjieff had wanted to see me again only so as [to] get money from me again, he knowing that I had married into a wealthy family. What a devilish hellish situation. Or, perhaps, a situation of purgatory. I recalled his idea of the value of suffering. I was suffering. I recalled his saying, a memorable saying that is a key to the meaning of the entire work and method, "You here already having realized that you have only yourself to contend with; therefore thank those who give you the opportunity." I was contending with myself, wondering if I would be wise or a fool to thank him. "Oh ye of little faith," a voice in me said. He was ready for his afternoon rest. Beginning at 6 or 7 a.m. he writes of his latest work at Child's. If you go up to see him you find him there at a table, as inconspicuous as any of the restaurant's patrons except for his unusual practice of writing there all morning completely absorbed and concentrated, pausing for brief intervals to drink coffee. Around noon he goes out to shop for lunch. Then, returned to his apartment, he cooks. He eats and drinks, and drinks a fair amount of vodka or applejack so as to relax. We had gone through it all. Now, about 3:30, he wanted to get the full benefit of relaxation. He invited me to dinner that same night saying he would cook a special dish for me, whatever I wanted. I smiled. As I went out he was pulling back the bed cover, preparatory to sleeping for an hour or so in the midst of the typist and the clacking machine. As I walked to the subway and thence home, I recalled many things. With the vodka in me I too waited to relax. The situation would not let me let myself. I recalled my meetings with him the previous spring soon after his arrival from Europe. I had not seen him for several years. Learning that I was in New York he asked someone to call me, saying that Mr. Gurdjieff wanted to see me at Child's that evening. I went. He was in a bad way. His health was poor. He looked it, liverish, looked as if he had been drawn through a mill, was laboring under a heavy ceaseless strain physically and mentally and every way. Leaning towards me he told of certain difficulties in France, said that now he really needed me. In the past he had not. Now he did. He spoke about the future and hinted at certain rewards that [would] be mine then if I helped him now. I, moved deeply, replied that already he had done an inestimable amount for me and that out of gratitude, with no thought of further reward, I would gladly do all I could [to] help him meet his present extremity. My mind flashed over subsequent happenings, the sum result of which was that I felt a great relief when I left New York and thus left him. To me he seemed a changed man, changed for the worse. I felt his work was dead. Whether dead or not, there was no place or function for me in it. It was a travesty and hollow mockery of the work I had entered in 1924 with all my heart. I would have nothing to do with what was going on at present. I would have something to do with future workif there was a future workon the critical basis as if I were meeting him and his work for the first time, taking nothing for granted. I recalled the messages from him that reached me in the Southwest. I recalled my return with my family to New York in the fall, and the one abortive overture that was made me via Fred Leighton [one of Gurdjieff's pupils, at whose apartment he sometimes stayed when in New York] the very evening of my arrival when I was fatigued by travel and facing the difficulties of adjusting a young child to strange people and a new environment. I recalled how I had felt all summer that Gurdjieff considered no one but himself, that he had a way of making his needs and difficulties seem a thousand times more vast and portentous than mine or yours, that he was stronger and wiser than any of us [and] had a way of calling upon the weak and stupid to help him outand we, the idiots he so freely called us, fell to and did help him, feeling that he was weak and in grave need whereas we were able to do things for him, to do things for him even at the neglect of those actually depending upon us. Was this the meaning of St. Matthew 10.3439 "For I am come to set a man at variance...." I recalled how, from October to the following January, I had been cut off from him, not seeing him at all, he making no effort to have me see him. During these months I heard of goings on, later, scandals, God knows what not, all at second or third hand. On the face of them, these stories piled up to substantiate the feeling, not only of myself but of many of Gurdjieff's former followers, that the work was dead, that Gurdjieff was like a wheel gone off its axel careening smartly down the road with mad velocity smashing into things right and left, caring for nothing and nobody. Only his writings, his great books, remained. Whatever people had come to feel of Gurdjieff himself, everyone and of course I myself, still maintained and upheld the greatness of his ideas. They are source. There are none to be classed with them in any literature of my acquaintance, his vast works with their incomparable psychology of man, their truths, their convincing knowledge of reality. His behavior during these months as reported to me by a few people who had seen him was awful. Hearing these reports strengthened my own personal impression of him gained the previous spring. Heretofore my position had been this: Though I would have nothing to do with him in his present phase, though I would certainly not bring any new people to him, neither would I judge him one way or the other. He seemed to be tearing down everything he had created, his life seemed a blight, he was alienating people and throwing them off right and left, of all those formerly interested in him only Fred Leighton remained faithful, but I would not put myself in the judgment seat and judge him. Who was I to judge him? Now, however, everything piled up in me and quite deliberately I moved myself out of the state of suspended judgment. On certain occasions to certain people who were in a position to critically weigh what I said, I let fly. A for me interesting situation developed. Now that I was apparently turning against him, certain of those whom I had taught to have a positive sense of him now turned about and began instructing me to have a positive belief in him. That I, the erstwhile teacher, found myself in the role of a student to my own former pupils who had now risen above me because they saw and believed whereas I was blind and skeptical. The situation was not without its humor. Not without irony too, irony and several disquieting elements involving my responsibility as the person instrumental in bringing them into the Gurdjieff world. One day in early January Fred Leighton phoned to say that Gurdjieff asked me to a special meeting. I said I would be there. In general I thought it possible and expected that at any time Gurdjieff would really "start something," that the pendulum having swung to one extreme would begin its swing to the other. Perhaps this special meeting would mark the turning point. I felt sure that Gurdjieff would speak. I was extremely curious to see him again, to sense him again, to test for myself first hand if any changes had occurred in him during those months of which I had had such wild reports. I presented myself. Gurdjieff, to my eyes and senses, seemed much the same as ever, much the same as the man I had known in years past, his health obviously improved over the condition I had last seen him in the previous spring. Indeed he seemed happy. He had the air of a free man. I recalled what Leighton had told me of what Gurdjieff had told him, that just during this period he was as happy as he'd ever been in his life. To me personally he was as affable as I was to him. It seemed that we both tacitly agreed to let bygones be bygones. Insane? He was in full possession of every one of his extraordinary faculties. Debauched and slovenly? Nothing of the sort. Afraid of the dark and of being alone? It was ridiculous. Whatever he had gone through, the thing that showed plainly was a decided improvement in every respect. Leighton and Israel Solon [an American student of Orage's] were there when I arrived: others had been asked, a picked number. No others showed up. After waiting a while Gurdjieff asked first myself and then Leighton to read aloud from the manuscript he was then working on, an introduction to his books which would replace The Herald of Coming Good. With this latter book, the only one of his writings to be published to date, Gurdjieff said he was dissatisfied. Before the reading, at intervals during it, and after the reading, Gurdjieff made remarks in his unique way, remarks about myself and my position and condition, remarks about Leighton and Solon. Some were obviously jokes. Others were just as obviously of a different category, in the manner and tradition of his way of teaching, one of his ways. Teachings? Yes, one can so utilize it for himself. As to Gurdjieff's aim, it may not be this at all, certainly it is not so simple, and certainly it includes his interest to see how we respond to his prods. While he was preparing a late and rather lavish supper, Leighton, Solon and I worked on the translation. It would be more accurate to say that those two worked. For myself, my reflections and questions about Gurdjieff and the events of the evening were of far more importance than any slight help I might have given to the manuscript. Supper beganand, of course, the toasts to the idiots. In the course of eating and drinking quite a number of things came up, among them Solon's accusation to Gurdjieff that Gurdjieff stole or tricked money from people. Gurdjieff denied it. He [Gurdjieff] said he took it. I backed him up. I said he took it. And he does. The distinction may not seem important, but it has, I feel, a direct and significant bearing on the general way in which Gurdjieff operates. He gives, as he was giving the suppers. He takes. Often as not he will even tell you in advance that he is going to take. Tricks he has, and he uses them apparently without conscience. But believe me he is not and never has been and never will be a petty trickster. His use of tricks is so glaring that they almost shout at you telling you what they are. He knows they are tricks. So do you. If you then fall for them can you accuse him of dishonesty? He fixes a situation. He leads you into it. You go into it, eyes open. Then he takesif you let him, and often you do. If you let him, if he takes today, then you may be sure that as long as you have relations with him you will again and again find yourself in a similar situation. If you withhold, then again as long as you have relations with him a similar situation will be repeated. Why? Why does he work it this way? Might as well ask the sphinx. Is there some profound teaching and training involved? Or doesn't it, on the contrary, argue that he has a most cynical view of human nature, believing that people are but sheep who must be sheared because they wouldn't understand and respond to his need if he presented it as a human being to human beings? From Leighton I had previously learned that Gurdjieff was now again in a bad way financially, trying to hold on until his birthday, the middle of January our calendar. This date, the middle of January, was to be the great turning point, the ending of one long period during which Gurdjieff, in addition to writing, was building up his body and his physical health. By January 15th his body would be fully restored, his writing would be finished, and immediately thereafter he would enter upon an entirely new phase. Earlier this evening Gurdjieff had said some extremely interesting things which threw light on his apparently shameful conduct during the past months. The gist of what he said was this. That in order to restore himself, particularly his body, it was necessary that he suffer. In order to suffer he had deliberately done things to people and situations which would enter into his automatic processes and of themselves cause suffering and make him suffer whenever he remembered them. An amazing idea, an amazing intention! If it was to be credited, it fully explained why he had manufactured scandal after scandal, trouble after trouble, each one worse than the preceding, crescendo, during the past months. True, it did not touch on the benefits or disasters experienced by those others who were parties to his Gurdjieffian nights. True too, it may have been no more and no less than an objective afterthought, a bit of rationalizing that amounted to a strike of genius. But, as I say, if the explanation of intentional suffering were to be credited, it did completely illumine his own conduct, and it did explain how the "maniac" of the past few months was now this eminently sane, sound, rather quiet, even rather circumspect personage who presided at the supper table. And it did somewhat explain the circumstance related by Leighton that throughout the "worst of it" Gurdjieff had treated him, Leighton, in much the same way as he had always treated him, never mistreating him. During the course of the supper I felt a revival of my old feeling for Gurdjieff. The drinks helped my subconscious self to come out, and I found myself, with something like a rush of feeling, once more affirming him. My mind was working too. I did not want to be importuned for money. I did want to offer it to him voluntarily if he really needed it. Before the evening was over I proposed that we, myself, Leighton and Solon too, and I had others in mind, work out a scheme whereby Gurdjieff would receive from us a definite amount each week for the period of a month. Later on, the plan was actually carried into effect. After leaving Gurdjieff that evening I did not see him again for several weeks. That was early in January. February was over half over when I again got a call. I went to lunch. I went to dinner. The upshot of it all was that Gurdjieff, planning to leave America on March 2nd, needed money for the passage. Practically no manipulation was required, nor resistance against manipulation, for me to promise two hundred dollars. This done, I felt at ease, and, also, just a little virtuous. I breathed a sigh of relief and satisfaction. This time, it seemed pure, the money transaction would occur simply, without "tactics," on the simple real basis of one person responding to another's need. I soon saw, however, that, for some reason or other, I was in for a period of being called upon to come to lunch, come to dinner, come for Turkish bath. Gurdjieff is that way. If he calls you he calls you. With him it is all or nothing. He wants to take you away from everything elseor, in any case, he wants you when he wants you, often, one after the otherand it is up to you to decide that you too want or else call a halt. It was just this by me previously known tendency that I had braced myself against when returning to New York in the fall. I had my own life and affairs, my own world; I had not wanted to be absorbed by him into his affairs and his world, even though I liked his cooking, always got something from being with him, and, in a way, really and sincerely considered it a rare privilege to be in his company. I may be mistaken but I also believe that thousands of people also would consider it such a privilege, if they had a genuine sense of him, if he would discontinue his strange baffling antagonism-arousing tactics. Through the fog which he himself creates around himself there are but few who can see and sense himand of these few, all are alternatively drawn towards him and repelled, praising, damming, appreciating, cursing. All fall and winter I had been on my street, he had been on his. Now in February he was asking that I come. What was it? Was he... [Copy of manuscript obscured. The previous summer, while in the Southwest of the United States, Toomer had written a letter to Gurdjieff in which he refused certain of Gurdjieff's requests.] ...strength of the position as stated in my letter? Or did he think that because of several considerations it was time for me to move out towards him and him towards me? Many reasons lead me to go. I calculated that it would last only until March 2nd, and for this short period I could manage to harmonize my sessions with him with my personal life and work. I went. I returned. I went. I returned. I looked to see what was happening in me. I looked to see what was happening to those intimately related to me. I thought about the situation of my visits with him. One large thing I disliked. As circumstances were, I was in a passive role in a passive position. Unlike myself in former years, now this year I wanted nothing special of him. I was related to him through no active mutual work. I was like a visitor, a guest, yet not like a guest either because, owing to long established relative positions, he was the master, I the pupil, but, now, he with a master's prerogative, I without a student's initiative and purpose. In this passive position I was a piano to be played uponand some of the times I did not like, while others I did like, but the main point was that I resented and resisted my passive and therefore relatively purposeless and helpless role. My only struggle was a struggle to maintain my individuality and balance. But, as my totality was passive, I often felt as if I were struggling in a voidnot at all a pleasant sensation. Some interesting things were said. On the whole, he talked more freely than was his former wont. One evening at Child's he talked to Dahl [identity unknown] and myself about tapeworms. It began as a joke. Pointing to me he remarked that in spite of my good appetite I remained thin. Why? Perhaps a tapeworm, he said. He then began talking of an experience in which he and a physician finally delivered a patient of a tapeworm with two heads, one head having already been removed, a three-headed rascal. Leighton joined us. Gurdjieff told Leighton the joke on me. Leighton thought it was a good one on me. The smile left his face when Gurdjieff turned on him with the remark that he too had a tapeworm. Not one like mine; Leighton's was, if you please, an astral tapeworm. My physical worm made me physically thin. Leighton's astral worm made him psychically heavy. Physical thinness, psychic heaviness, such were the different results produced by the respective worms. On another occasion in a serious mood, Gurdjieff made plain the distinction between the automatic and the conscious processes of man. He explained also that real mentation, thinking of a thing, thinking about a thing all round from all possible aspects and angles, happened only infrequently in man. To me he suggested the outline of the way in which a man gathers material for the formation of his "I." To me one day he said that I had no notion of how my subconscious, the real part of me, was related to him. One afternoon in his apartment before lunch he happened to notice the shoes I was wearing, English waterproofs. We fell to talking about the products turned out by various countries, England sowed honest products but expensive, Germany flooding the world, now Japan was rivaling Germany. We spoke about the Japanese, and, in reply to my question as to why the Japanese were so energetic and enterprising he remarked that the conditions of life in Japan discouraged the rearing of parasites and made for the growth of productive men. Not education, he said, but life itself does it in Japan. One morning in Child's we reminisced about the motor trips he used to take, excursions out from the Château at Fontainebleau to the various parts of France. By all ordinary standards they were wild reckless daring exhausting trips. I had always wondered precisely why he took them as he did. Already I knew that while his body was occupied with driving he composed his writing. Now he explained that he had also done it to tire his body so that his body would rest and thus enable him to rest his mind, which otherwise might have burnt up from ceaseless overwork. Said I, "I thought you did it, created all those difficulties, in order to generate energy." "That too," he replied, "Many different combinations all at the same time." He then told me that following his motor accident he had been compelled to produce energy artificially. To this end, during the few following years, he had consumed enough drink to have killed ten men and, in addition, forty pounds of opium. To my question, "Did you know in advance what you were doing, or was it an experiment attended by a grave risk?" he replied, "It was necessary to create energy artificially, my condition and my means and aims were such. I knew, yet it was also an experiment and risk." Sometime later, having meanwhile changed moods a thousand times it seemed, we talked about the chapter in his First Series in which he formulates the relative understanding of time. He asked me if I had had some sense of the truth before reading the chapter. "Yes," I said, "I knew that there was no correspondence between what we may call my personal experience of time and a calendar year. How long is a year? How long is a day? In one day I may, so to speak, live a month. I am forty years old. (12) What does that really mean? Who knows how long I've lived in my forty years?" He nodded. "Speaking just like that, I can tell you I've lived thousands of years. It is possible to know how to live thousands of years in one life." "I believe it," I said, "For instance, I'm sure that in some way you actually experienced Tikliamish and those ancient civilizations you write about in the First Series." "Could not be imagination," he said. "Could not," I agreed. "Your words and descriptions convey the sense of actual personal experience." Again later he remarked in a quite different vein, "I tell you something secret, only for yourself. Twenty-one years ago I vowed never to use hypnotism to effect my aims. Recent circumstances have make me struggle with myself to keep my vow. I not want to break it. But recently I lose sixty million francs. Not lose on stock market or by fire or ordinary ways. Combination of forces take away. I not want to break my vow." As this "secret" was told to me by Orage some years ago, I feel quite at liberty to pass it on to you. In still another mood he recalled to me his chapter which narrates the process by which God created the world, first by emanations from himself, and later the entire work of universe making went on by itself. "Just so," he said, "I create my world. First, emanations. Then everything happens. But my task more difficult than God's. God have to destroy nothing first. Nothing existed. He simply created. But I, I must tear down before I can create. Double work. If you want to put new building across the street you must first tear down old one." I nodded understandingly. I smiled. "Yes," I said. "I see. Now another answer to 'the burning question of the day' as to how and wherein our Gurdjieff differs from God." He too smiled. That afternoon after lunch in his apartment I reminded him of a joking promise he had once made me. "Remember," I asked, "Remember? Once you promised to make me ruler of Africa." "Something went wrong," he smiled. "Is my psyche African?" I asked. "At different times you have told me it was English and, again, typically American. I don't understand." "You not as I counted," he said. "In the very beginning I counted you." I suppose he meant that when he first saw me he calculated and, so to say, got my number. He went on, "You not as I counted." "You manifest differently at different times, different from what I expected. You not as I counted, and I get angry." "You not as I counted." (1) G. I. Gurdjieff, Meetings With Remarkable Men , p. 270. (3) G. I. Gurdjieff, All and Everything, First Series, p. 920. (4) P. D. Ouspensky, In Search of the Miraculous, p. 12. (9) Said Toomer: "More than one person more than one time has, after leaving Gurdjieff found himself to be just such a split fool in hell. How he loves to put people in galoshesas he expresses it. He is too polite to use such a phrase as split fool in hell. No, he simply puts you in galoshes. If you say yes you are a fool. If you say no you are two fools. If you say both yes and no you are a split fool in hell." (10) C. S. Nott, Teachings of Gurdjieff, p. 35. (12) Toomer was born in 1894. (13) Fritz Peters, Gurdjieff Remembered, p. 8990.